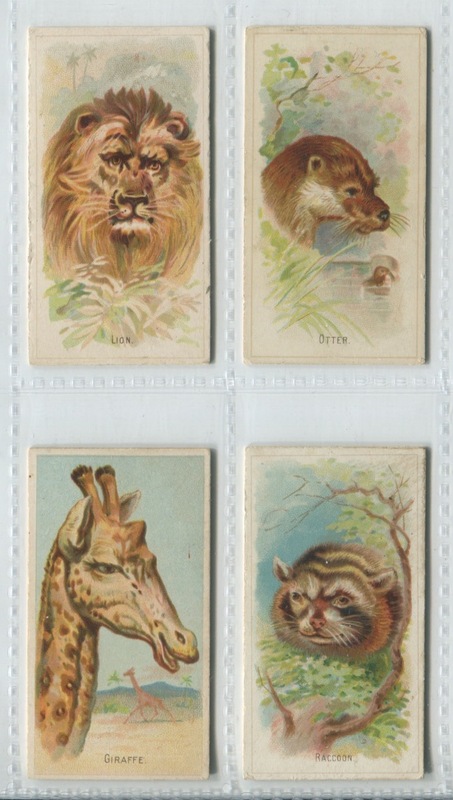 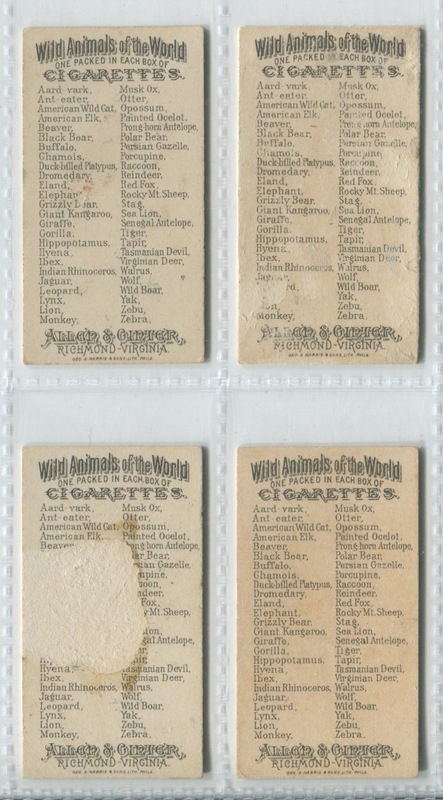 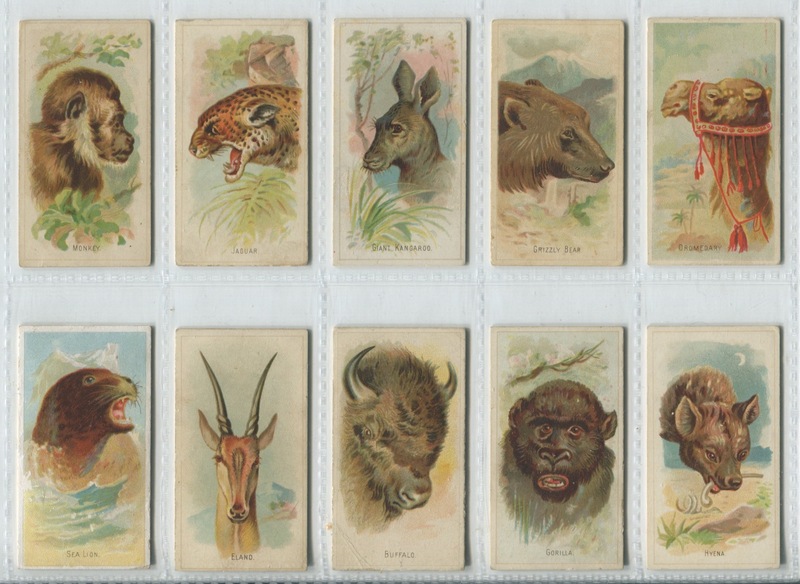 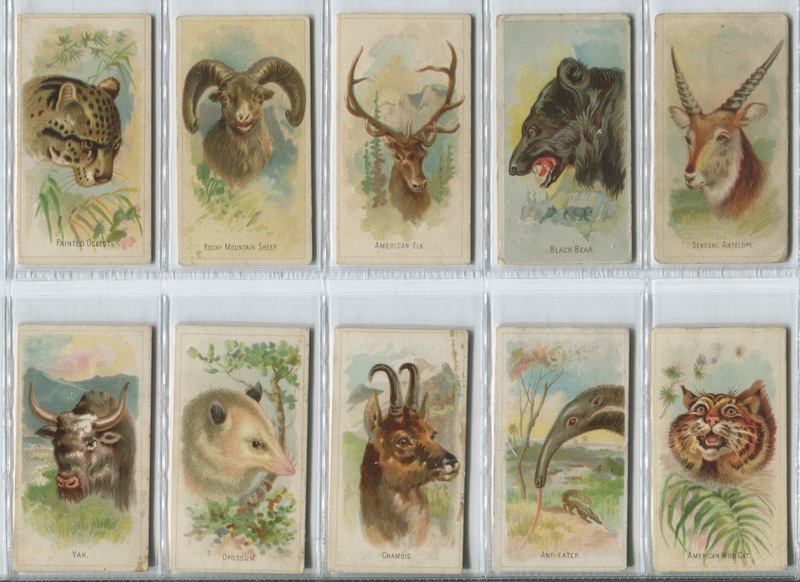 The Allen & Ginter Wild Animals set, cataloged N25 in the ACC, is one of the many animal sets that A&G created for their run in the 1880's. The set depicts wild animals from exotic places all over the world. 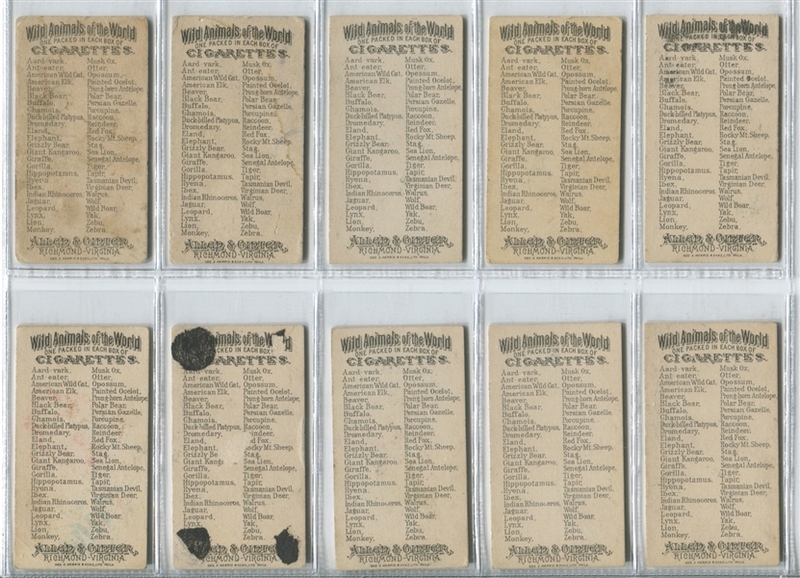 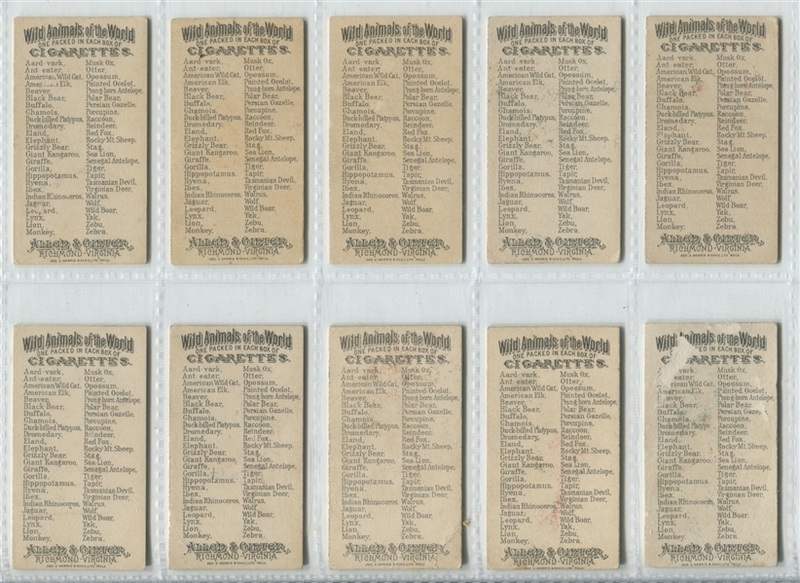 This lot of 24 cards breaks down into the following conditions: VG+ to VGEX (18 cards) , G (3 cards) and Poor (3 cards). A nice start with almost half the set.